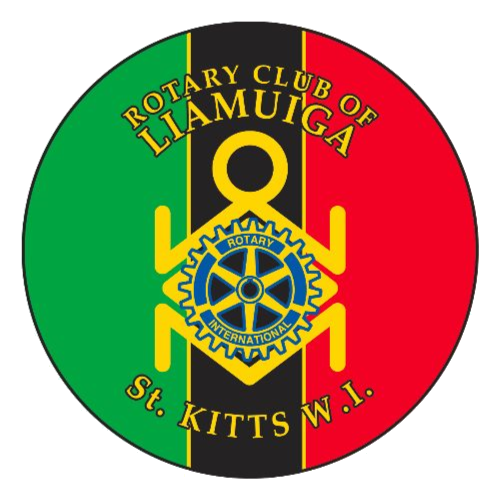 The Rotary Club of Liamuiga (RCL) held its Annual Installation Dinner at the St. Kitts Marriott Resort to start off the 2018-2019 Rotary Year. 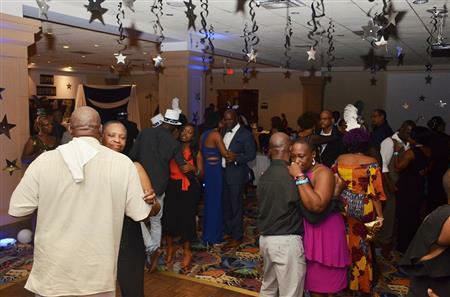 The event was held under the theme “Shades of Blue” and was in collaboration with its sponsor clubs: the Rotaract Club of Nevis, the Interact Club of Cayon High and the Rotary Community Corps of Basseterre. Master of Ceremonies for the evening was Past President Laverne Caines. In attendance was Past District 7030 Governor Roger Bose from the Republic of Trinidad and Tobago who took part in bringing greetings, issuing pins to the new executive members presenting awards to Rotarians. Basseterre, St. Kitts – In one of her first appearances as the 2017-2018 National Carnival Queen, Sheniqua Lanns provided the keynote note address to The Rotary Club of Liamuiga at its first general meeting in January. Basseterre, St. Kitts – Wednesday November 15th, 2017 will be remembered as a truly momentous day in the annals of the history of the Rotary Club of Liamuiga, when the Club welcomed its newest Paul Harris Fellow and first non-Rotarian to be so recognised, in the person of Nurse Paula Francis. Nurse Francis received this surprise recognition following her guest speaker presentation on diabetic foot care at the Club’s weekly breakfast meeting. Basseterre, St. Kitts – With the correct, consecutive spelling of the words ‘luminous’ and ‘pictograph’, Ms Gianna Phipps of the St. Kitts Seventh-Day Adventist Primary School emerged the champion of the Rotary Club of Liamuiga’s 2017 Primary school Spelling Bee Competition. Gianna outlasted her 20 other competitors during the recently held Spelling Bee, which was held at the Eastern Caribbean Central Bank Sir Cecil Jacobs Auditorium on Thursday November 2, 2017. Saddlers Village, St. Kitts – On Saturday September 16, 2017, members of the Rotary club of Liamuiga descended on the village of Saddlers to share sumptuous meals with the residents of the Saddlers Home for the Elderly and elderly of the surrounding communities. For the past 13 years, the Rotarians have spent National Heroes Day (September 16) fellowshipping with these unsung heroes in our communities; the elderly. BASSETERRE, ST. KITTS, 21 April 2017: It is just over 2 months before the start of the new Rotary Year 2017-2018 and within a few days the President Elect (PE) and Secretary Elect (SE) of the Rotary Club of Liamuiga (RCL), Chad Allen and Dr. Cherese Godwin, will join other PEs and SEs from Rotary District 7030 in Trinidad for the Presidents & Secretaries Elect Training (PETS) and District Conference being held 26-29 April 2017. These sessions are being attended by PEs and SEs of the over seventy (70) Rotary Clubs within Rotary District 7030 (Southern Caribbean) and Assistant District Governors Elect (AGEs) of the countries/territories within the District. 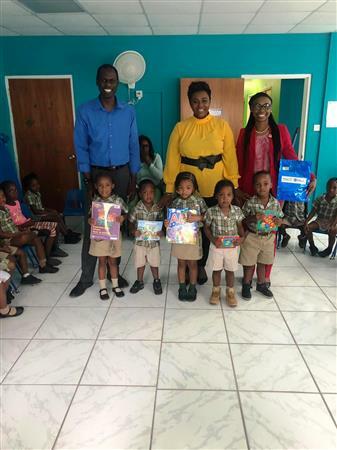 Basseterre, St. Kitts: 21 April 2017 – The Charles A Halbert Public Library at Cunningham Avenue in Basseterre conducted its Annual Easter Read-A-Thon under the theme “Open A Book, Find A Treasure” during the period 10-13 April 2017. The Prize Giving Ceremony for this group of bright ‘reading’ youngsters was held on Friday, 21 April 2017 at the Library. The Ceremony was attended by the Deputy Prime Minister and Minister of Education, Youth, Sports & Culture, Honourable.Shawn Richards, who assisted with the presentation of prizes; presenter of the keynote address, Mr. Loughlin Tatem; and representatives of various sponsors including President of the Rotary Club of Liamuiga (RCL), Carol Phillips, and Nordia Demming of St. Christopher Air & Sea Ports Authority (SCASPA) who assisted with the presentation of trophies, certificates, etc. Mrs. Petrina Clarke-Whyte, Acting Librarian, in her appeal to the RCL expressed the view that the Easter Read-A-Thon contributed towards ensuring that the children of St. Kitts became equipped for a brighter future. Even though Master Josiah and Missy Aarya earned the same number of points, Josiah was awarded the top prize because he read 38 books as against 34 books read by Aarya. 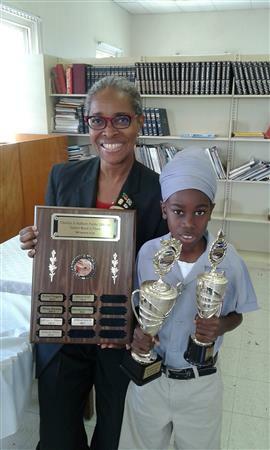 Master Josiah Davis was also adjudged the Overall Winner and, in addition to earning a trophy from the RCL for being the winner of the Junior Category, he also earned an Overall Winner’s Trophy and the right to have his name engraved on the Charles A. Halbert Public Library Perpetual Easter Read-A-Thon Plaque, also sponsored by the RCL. Master Daniel Thompson was awarded a trophy from the RCL for winning the Senior Category. In his keynote address to the attendees Mr. Loughlin Tatem proposed several ideas for consideration by the Library for future implementation, such as, having video recordings of important events taking place in the Federation available for researchers. The Rotary Club of Liamuiga thanks the staff of the Charles A. Halbert Public Library for affording the Club the opportunity to be involved in this educational initiative for the Primary School Students of St. Kitts for the seventh consecutive year. Basseterre, St. Kitts: 6 April 2017 – After a 2 year hiatus the Rotary Club of Liamuiga (RCL) Talent Search Competition for Primary and High Schools was brought back to be included in the Club’s Programme of Activities for the current Rotary Year, which runs from 1 July 2016 to 30 June 2017. It was excitement galore when the talents of the children and teenagers were unveiled at the Finals of the Competition at the Sir Cecil Jacobs Auditorium on the evening of Wednesday, 5 April 2017! The very loud responses of some audience members in support of their participants was reward in itself for the significant amount of work involved in the administration, preparation, production and execution of RCL Talent Search Competition 2017! The RCL has proven yet again that talent in the arts is very much alive and well within Federation! Prizes were presented to the top 3 participants in all categories. The first place winners were also awarded trophies, however, with the tie for first place in the High School Vocal Music category, Miss Christianne Skerritt of Immaculate conception will have to wait a while before actually receiving her trophy. She was however allowed to take pictures with her family members, who were present for the Competition, holding the trophy for the category. In the group picture of first place winners both Miss Skerritt and Miss Drenyqua Samuel of Virchilds High held the trophy for the Vocal Music High School category. This year was a time for ties and firsts! It must be noted that for this Competition, which started in 2005, it was the first time that there has been ties in any categories. In addition to the tie mentioned above, this year also saw another tie, for second place, in the Primary School Dance Segment between Mellita Dunrod of Cayon Primary and Jahzara Greene of Dieppe Bay Primary. But for the fact that she lost points for exceeding the allotted time, Miss Danecia Henry of Saddlers Secondary would have also tied with Miss Alecia Mills-Nisbett of Washington Archibald High in the Vocal Music Category, behind the two participants who tied for the first place. The Rotary Club of Liamuiga extends its thanks and appreciation to its corporate partners - ECCB, Elco Ltd, Ministry of Education, Royal Bank of Canada, Ti Amor Café, TDC Group of Companies, Warner’s One Stop and ZIZ Broadcasting for their support in this interesting and exciting exposition of home grown talent in our Schools. BASSETERRE, St. Kitts, February 2, 2017 (Press Unit in the Office of the Prime Minister) – St. Kitts and Nevis’ Prime Minister, Dr. the Honourable Timothy Harris, was updated on the work of the Rotary Club of Liamuiga and the Rotary Club of St. Kitts during a courtesy call earlier today, Thursday, February 2, 2017. The meeting, held at the prime minister’s office at Government Headquarters, was attended by Governor of District 7030, Roger Bose; President of the Rotary Club of Liamuiga, Carol Phillips; President of the Rotary Club of St. Kitts, Neil Owen; Assistant Governor with responsibility for St. Kitts and Nevis, Tuffida Stewart and Permanent Secretary in the Office of the Prime Minister, Osbert Desuza. Thursday’s meeting was one of the activities on the schedule of Mr. Bose, who is on an official visit to St. Kitts and Nevis where he will also participate in this weekend’s Rotary Youth Leadership Awards (RYLA) event scheduled to take place at the Bird Rock Beach Hotel. RYLA is an intensive training programme that brings together youth and young adults, ages 14-30, to further develop character and leadership skills while exposing them to Rotary’s values of service, high ethical standards and peace. Mr. Owens told Prime Minister Harris that the Rotary Club of St. Kitts recently held its Hearing Mission where they were able to donate about 150 hearing aids to the Ministry of Health and trained over 15 nurses on how to diagnose and treat persons with various hearing problems. He also made mention of a project, presently on the table, to establish a seniors’ home in St. Kitts. The Rotary Club of Liamuiga (RCL), according to President Phillips, continues to place much emphasis on health and education. One such example is the free foot care services presently being offered in the federation. This project is a collaborative effort between the RCL and the North American School of Podology (NASP). In 2016, the club outfitted the Beach Allen Primary School with a new computer lab, through its Youth Development Initiative. The prime minister was also informed of the club’s Christmas Hamper distribution project and the annual National Heroes Day Luncheon at the Saddler’s Home for the Elderly. In response, Prime Minister Harris congratulated both clubs on the work they have been doing in the federation and encouraged them, through their respective presidents, to continue to carry out their people-oriented projects and programmes in St. Kitts and Nevis. BASSETERRE, St. Kitts: The Rotary Club of Liamuiga in collaboration with the North American School of Podology hosted another successful Foot Care Clinic. The Clinic took place from Monday 30 January to Friday 3rd February 2017. 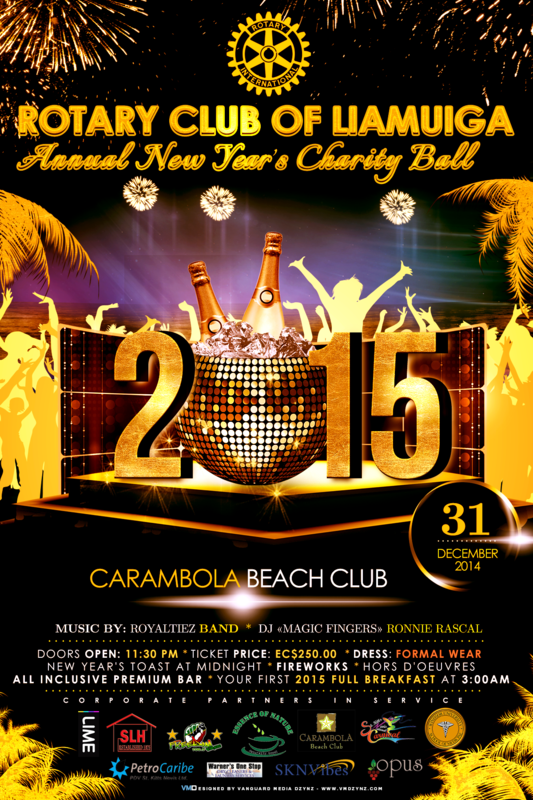 FRIGATE BAY, St. Kitts: The Rotary Club of Liamuiga hosts another successful New Year’s Ball. This event is the 10th Annual Charity Ball and was dubbed Diamond Edition. This time, the prestigious ball took place at the Marriott Ball Room. Musical entertain was provided by Magic Fingers Ronnie Rascal and the Kore Band from Nevis. The annual Ball is the largest fundraiser for the Rotary Club of Liamuiga which supports its community service projects. The Rotary Club of Liamuiga distributes care packages to the less fortunate at Christmas. 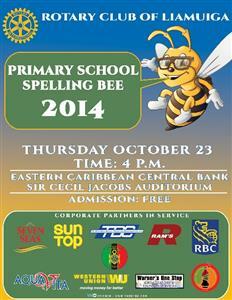 The Rotary Club of Liamuiga held its Annual Spelling Bee on Thursday 27th October 2016 at the Cecil Jacobs Auditorium, Eastern Caribbean Central Bank (ECCB) at 4:00 pm. Nineteen Primary Schools in St. Kitts participated in the competition. It was Malika Benjamin of the Seventh-Day Adventist School who declared the winner. Second place went to Isabelle of St. Kitts International (SKI) Academy and the third place winner went to Amanda of Maurice Hillier Memorial Junior School. The main sponsor this year is again Ram’s Trading Limited under their brands Sun Top and Seven Seas. Major sponsors included Insurance Company of the West Indies (ICWI), Eastern Caribbean Central Bank, Ministry of Education and Sol EC Ltd St Kitts & Nevis. Other sponsors include Massy United Insurance, Royal Bank of Canada, Development Bank of St Kitts-Nevis, St Kitts-Nevis National Bank, Warner’s One Stop, Social Security Board, TDC, St Kitts Bottling Company Ltd, Harper’s Office Depot, and Just for Kids. BASSETERRE, St. Kitts: On 12 October 2016, the Rotary Club of Liamuiga held the inaugural Dental Quiz at the Sir Cecil Jacobs Auditorium. The event was in collaboration with the Dental Association and local primary schools participated. The moderator for the quiz was Kayla Browne. The Tucker-Clarke Primary School emerged the winner. Ram’s Trading was a major sponsor for the event. BASSETERRE, St. Kitts: On Saturday 24 September 2017, the Rotary Club of Liamuiga held an Independence Sports and Fun Day at the Kim Collins Athletic Stadium. Local businesses, as well as non-profit organizations, were invited to participate. The athletes took part in events such as 100 Metre Dash, 4 * 100 Relay, three on 3 Football, Dominoes, Dice Throw, Drunken Monkey and others. Ram’s Trading was declared champions as they had the largest team and dominated most of the events. The Rotary Club of Liamuiga would like to thank the sponsors, St. Kitts Bottling Company, Warner’s One Stop, St. Christopher Air and Sea Port Authority and Royal Logistics. 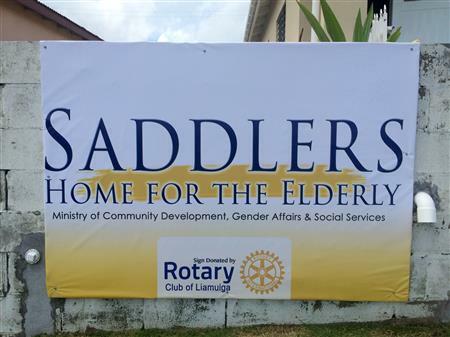 Saddler’s, St Kitts, September 2016: On 16 September 2016, the Rotary Club of Liamuiga once again serves lunch to residents of the Saddler’s Home for the Elderly and also persons in the surrounding communities. It is one of their annual community service projects. Local musician, Melvin “Mellie” Hewlett was hired to grace the atmosphere lovely steelpan music. BASSETERRE, St. Kitts – As many calls are continue to be made for Kittitian and Nevisians to adopt healthier lifestyles, the Rotary Club of Liamuiga is doing its part in the promotion efforts. On Saturday 9th July 2016, the club hosted a Health and Wellness Fair at the Independence Square from 9 a.m. until 6 p.m. The public was given the opportunity to participate in a series of free activities that included a high energy Zuma Session by Maxine Hendrickson-Lewis (Owner, Custom Strength Fitness), a Yoga Class and Blood Sugar/Pressure Testing and Counselling Clinic conducted by Rotarian Dr. Agnes Beachman. In the late afternoon, the St. Kitts Hash House Harriers (SKHHH) and members of the public took to the streets for a 10 k fundraising walk /run (all proceeds to be donated to charitable projects) of Basseterre and the surrounding areas for a to cap off the day’s activities. 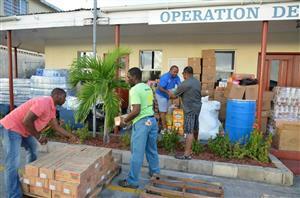 The business community also joined the ‘band wagon’ and got involved by making donations. The St. Kitts Bottling Company, Pharmcarre, Fresh Vitamins, Digicel, Refresh Juice Bar, made contributions to support the efforts of not only the activity and the club. He also noted that club has gotten positive feedback from the general public and with the high level of interest shown; plans will be made to have another activity in the near future. Director with responsibility for Public Relations – Burnell Nisbett Jr.
Special guests for the occasion were His Excellency Sir Tapley Seaton G.C.M.G., C.V.O., Q.C., J.P., Paul Harris Fellow, Governor General of St. Kitts and Nevis; Mr. Antonio Maynard, Secretary General of UNESCO St Kitts & Nevis; Dr. Jacqueline Claxton, former Consular Representative of Jamaica in St. Kitts & Nevis; Mr. Stanley Knight, Permanent Secretary in the Ministry of Youth, Sports & Culture; Mr. Trevor Braithwaite, Deputy Governor of the Eastern Caribbean Central Bank (ECCB) who was the Guest Speaker and spoke on the topic of Corresponding Banking Difficulties Being Experienced in the Caribbean; and Rotary District 7030 Past District Governor (PDG), Herve Honore from Martinique. IPP Tuffida Stewart presented her Outgoing President’s Report highlighting the many community projects that were executed by the RCL during the 2015/16 Rotary Year, including being first respondents with relief supplies to Dominica following the devastation by Tropical Storm Erica, and presented awards to outstanding Rotarians and some Corporate Partners In Service. 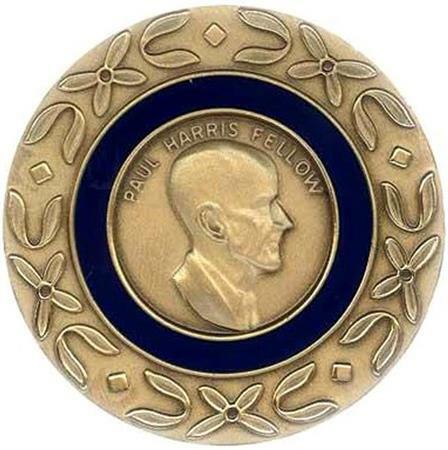 Past President Marcus Natta was awarded Rotarian of the Year and also received a Paul Harris Fellow Award. Corporate Partners In Service, who had representatives present to receive Community Awards for Sponsors, were Flow, St Christopher Air & Sea Ports Authority (SCASPA), Windsor University School of Medicine. IPP Tuffida was installed as Assistant District Governor (AG) for St Kitts & Nevis by PDG Herve Honore just before executing her first task of Installing Carol Phillips as the President of RCL. In presenting her Incoming President’s Address, President Phillips outlined several projects that the RCL planned to execute in the community for the benefit of the young, the elderly and the less fortunate throughout her year as President. These included some old favourites like Primary School Spelling Bee Competition, Primary and High School Talent Search Competition, Saddlers Heroes Day Luncheon, and Valentines Make a Wish Project and some not so old favourites such as Pre School Reading Project, Foot Care Project in association with the North American School of Podology (NASP), and Health Fairs and Walks. Some new projects highlighted were a Family Sports & Fun Day to be held on Independence Day, 19 September 2016, in which families and businesses throughout St. Kitts are invited to participate; the 4-prong Dental Project in association with the Dental Unit of the Ministry of Health – Primary School Dental Screening for which private sector help will also be sought, Primary School Dental Quiz Competition, and Public Service Announcements (PSAs) and short videos to inform the general public about the dangers of not paying attention to proper dental hygiene; establishment of at least one Rotary Community Corps and Interact Clubs at Cayon High School and Washington Archibald High School, work for which started two (2) months ago; seeking to secure Rotary Foundation District Grants to assist two (2) needy Primary Schools in establishing Computer Labs as well as evaluation of the possibility of a health related Rotary Foundation Global Grant Project. President Phillips emphasised the need for Rotarians the world over to contribute along with their various sponsors towards the ‘push’ to help The Rotary Foundation (TRF) in its drive to help the world achieve polio free status by its 100th Anniversary in June 2017. To this end, part proceeds of the Family Sports & Fun Day will be contributed towards Polio Plus, the TRF department charged with managing funding for this Project. The night would not have been complete without some entertainment. Rotarian Adrian Scantlebury seranaded the attendees with a wonderful selection on his saxophone while DJ Source of Big Tunez HD Entertainment kept the mellow sounds flowing throughout the night. Basseterre, St. Kitts – On May 31, 2016, St. Kitts and Nevis joined its colleagues throughout the Caribbean to celebrate and commemorate Regional Blindness Awareness Day. 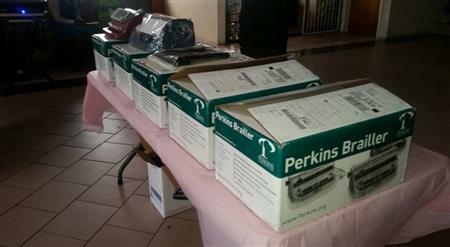 In particular, the St. Kitts Society for the Blind launched its Braille Programme at the McKnight Community Centre. At a brief but significant launching ceremony, the National Anthem was beautifully sung by twin brothers (both blind) from Cotton Thomas Comprehensive School. An overview of the project was presented by Ms. Jacqueline Christopher; Ms. Browlia Audain, facilitator/tutor, gave an overview of the Braille programme; and young Mia Romney sang for all of the attendees. 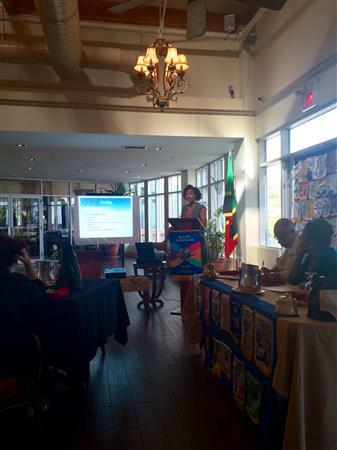 Ms. Tuffida Stewart, President of the Rotary Club of Liamuiga, gave remarks on behalf of both Rotary Clubs in St. Kitts. 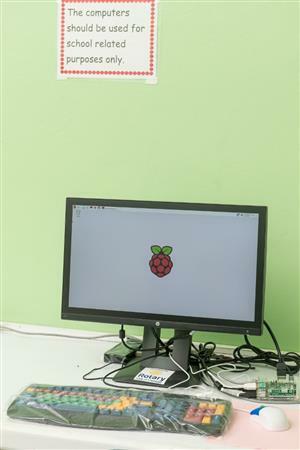 (ZIZ News) — The Beach Allen Primary School has received a new computer lab, donated by the Rotary Club of Liamuiga. The new lab was handed over during a presentation ceremony at the school on Friday in the presence of Rotarians, ministry officials, teachers, students and the school’s past and present principals. Basseterre, St. Kitts – The programmes and initiatives of the Advancement of Children Foundation (ACF) were front and centre at a recent Rotary Club of Liamuiga regular breakfast meeting at the Royal St. Kitts Golf Club. Chairperson of the ACF Board, Ms Naeemah Hazelle visited the Club on Wednesday May 25, 2016 and delivered an impressive presentation to the gathering. Basseterre, St. Kitts – On a cool Saturday morning, May 14, 2016, members of the Rotary Club of Liamuiga and the Association of Sports and Cultural Clubs of Caribbean Port Authorities (ASCCCPA) partnered to plant coconut palm trees along the Bay Road. St. Kitts - “Christmas is most truly Christmas when we celebrate it by giving the light of love to those who need it most.” These poignant words by Christian evangelist Ruth Carter Stapleton were personified on Saturday December 19, 2015 by members of the Rotary Club of Liamuiga during their annual Christmas hamper distribution initiative. Charlestown, Nevis – On Saturday November 21, 2015 members of the Rotary Club of Liamuiga journeyed to the sister island of Nevis where they hosted a Rotary informational meeting with approximately 30 young adults between the ages of 18-30. The meeting held at the Ingle Blackett Conference Room, Nevis Cooperative Credit Union was the initial step towards the formation of the first Rotaract Club on the island of Nevis. Basseterre, St. Kitts – Christmas came a bit early for the staff and tenants of the Saddlers Home for the Elderly with a donation from the Rotary Club of Liamuiga. At a brief handing-over ceremony on Saturday November 14, 2015, the Club donated a Whirlpool washer, Whirlpool stove, a transformer and a voltage protector to the Saddlers Home for the Elderly. Basseterre, St. Kitts – Ms Ajané Bristol of the Seventh-Day Adventist Primary School has emerged as the Rotary Club of Liamuiga 2015 Primary School Spelling Bee Champion. Ajané outlasted her 19 other competitors during the 11th annual competition held at the ECCB Sir Cecil Jacobs Auditorium on Thursday October 22, 2015. 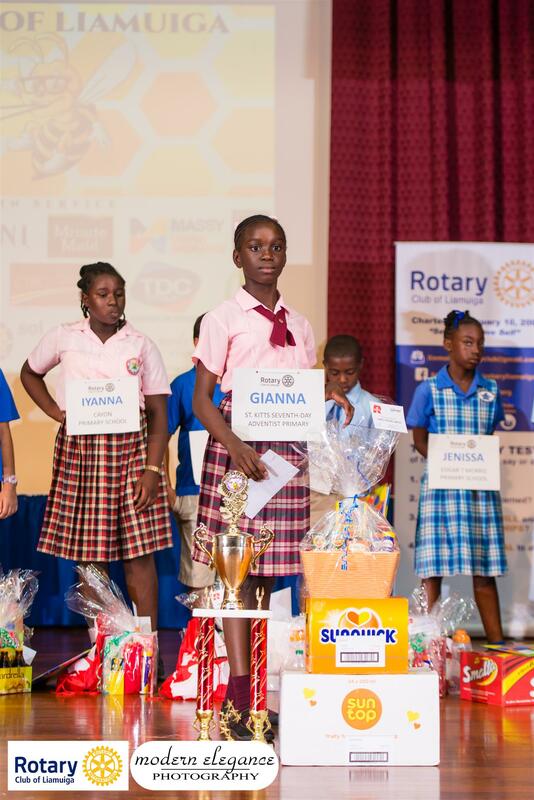 Basseterre, St. Kitts – The Rotary Club of Liamuiga is set to host the 2015 edition of its Annual Primary School Spelling Bee. 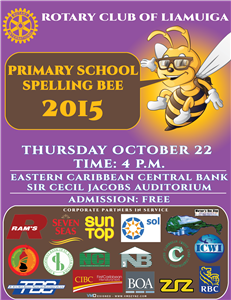 The Competition is slated for Thursday October 22, 2015, commencing at 4 p.m. at the ECCB Sir Cecil Jacobs Auditorium, Bird Rock. Saddlers Village, St. Kitts – Each year on St. Kitts and Nevis’ National Heroes Day, members of the Rotary Club of Liamuiga converge on the Saddlers Home for the Elderly where they host a luncheon for the residents of the Home as well as other elderly persons in the communities of Saddlers, Dieppe Bay and Parsons. This year was no different as the Rotarians fellowshipped with over 30 elderly, unsung heroes. 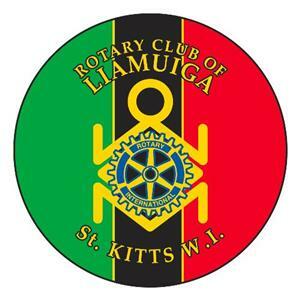 Basseterre, St. Kitts – The Rotary Club of Liamuiga continues its efforts to assist the people of the Commonwealth of Dominica in the aftermath of the destruction that island suffered following the passage of Tropical Storm Erika on August 27, 2015. Basseterre, St. Kitts – The Rotary Club of Liamuiga and Rotary Club of St. Kitts extend their sincerest thanks and appreciation to all persons who assisted, donated and volunteered to aid Dominica. Basseterre, St. Kitts – On Tuesday evening August 18, 2015, members of the Rotary Club of Liamuiga journeyed to the NEMA Conference Room to engage over 30 young adults in the area of organisational development. The session served to kick off the Department of Youth Empowerment’s “Youth Service Training Programme.” Following brief, informative and quite entertaining icebreakers, the 5-member team of Rotarians delved into their interactive presentations on organisational development. Basseterre, St. Kitts – The Rotary Club of Liamuiga and the Rotary Club of St. Kitts jointly hosted District 7030 Governor (2015-2016) Mr Milton Inniss of the Rotary Club of Barbados West. 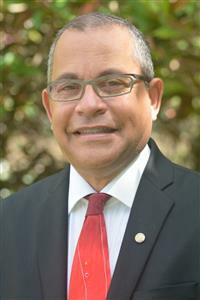 District Governor Milton is the sixth governor of Rotary’s District 7030, which includes the islands of the Eastern Caribbean as well as Guyana, Suriname and French Guiana. 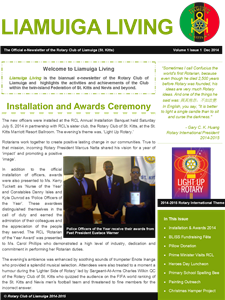 Basseterre, St. Kitts – The exquisite grounds of the newly-renovated Ocean Terrace Inn offered an excellent atmosphere for the Rotary Club of Liamuiga’s Annual Installation Ceremony and Awards Banquet held on July 1, 2015. 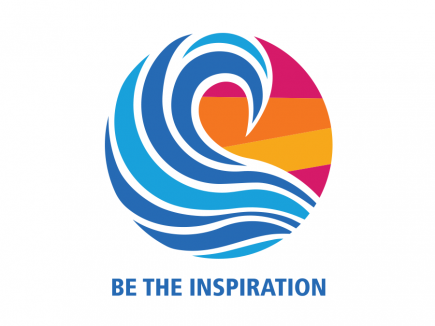 The prestigious event was held under the Rotary International theme for 2015-2016 – “Be a Gift to the World”. 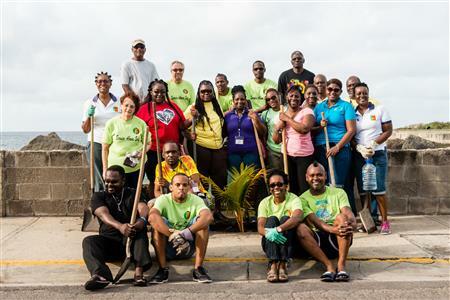 South Friars Bay, St. Kitts – On Saturday June 20, 2015, members of the Rotary Club of Liamuiga journeyed to South Friars Bay for the Club’s third annual coastal clean-up project. Partnering with the Club for the third consecutive year were members of the Eastern Caribbean Central Bank (ECCB) Staff Association. Basseterre, St. Kitts – Members of the Rotary Club of Liamuiga recently journeyed to two primary schools in St. Kitts to share the principles of the Rotary Four-Way Test. On June 17 and 18, the Club members visited and interacted with students, teachers and staff at the Irishtown Primary and Bronte Welsh Primary Schools, respectively. Basseterre, St. Kitts – Tishima Browne, an aspiring paediatrician and the 2014-2015 National Carnival Queen, addressed the Rotary Club of Liamuiga at its May 20 breakfast meeting giving a passionate speech about childhood obesity. The 24-year old has made the health issue and its increasing prevalence in the Federation and across the region a highlight of her reign. In her presentation to the Rotary Club, Ms. Browne highlighted the impact of changing lifestyles and family eating habits on childhood health. Basseterre, St. Kitts - The Rotary Club of Liamuiga continued its community work on Monday with a timely donation to Ade’s Place. 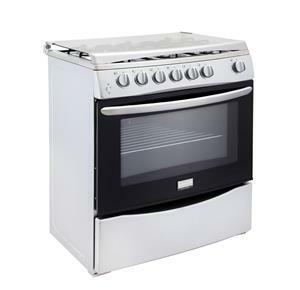 The Club presented a brand new stove and a cordless electric kettle to the center. Basseterre, St. Kitts – When 29 individuals with a passion for service came together, the fruit of their commitment to community upliftment was the creation of the Rotary Club of Liamuiga. Founded February 10, 2003 by Ambassador Fred Lam OBE, a former Rotary 7030 district governor. (ZIZ News) — High praise for local Rotary Clubs has come from the District Rotary Governor responsible for the Eastern Caribbean. Governor Elwin Atmodimedjo wrapped up his four-day visit to the Federation on Tuesday and told ZIZ News he was very happy with the work that the local Rotary Clubs have been doing. Basseterre, St. Kitts – The Rotary Club of Liamuiga and the Rotary Club of St. Kitts will jointly host District 7030 Governor Mr Elwin Atmodimedjo of the Rotary Club Paramaribo Residence (Suriname). 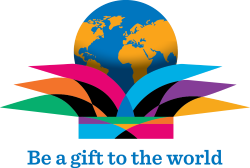 Rotary’s District 7030 includes the islands of the Eastern Caribbean as well as Guyana, Suriname and French Guiana. (ZIZ News) — On Saturday, members of the Rotary Club of Liamuiga (RCL) participated in the club’s annual Christmas Hamper Distribution Activity. Basseterre, St. Kitts – Members of the Rotary Club of Liamuiga continue to live up to their motto of “Service Above Self”. On the morning of Saturday December 6, 2014, members of the Club assembled at the premises on the St. Christopher Outreach Centre to lend a helping hand. President of the Rotary Club of Liamuiga Dr Marcus L Natta stated that the Club received a request from the Outreach Centre for assistance with painting of their wooden picnic tables. 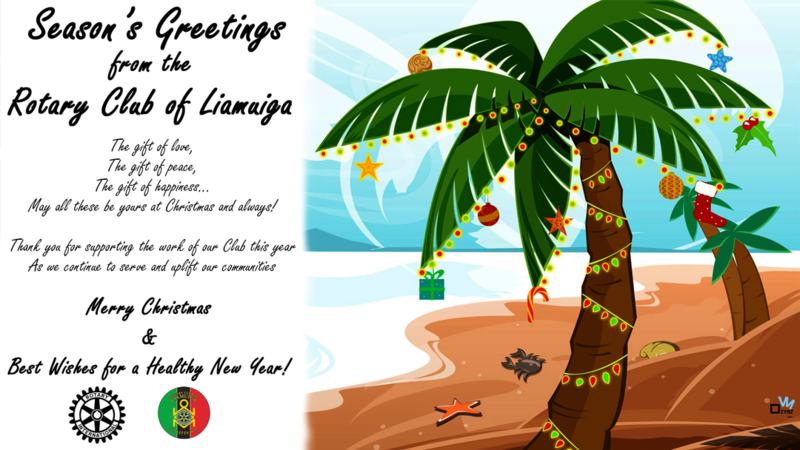 Basseterre, St. Kitts – The Rotary Club of Liamuiga continues its busy December with the release of the Club’s first ever e-Newsletter – LIAMUIGA LIVING. The Club is fresh off the heels of its painting assistance at the St. Christopher Outreach Centre (Dec 6) and its Annual Christmas Hamper Distribution Project (Dec 13). Basseterre, St. Kitts - Ms Micahiah Cranston outlasted her 17 other competitors to emerge the champion of the Rotary Club of Liamuiga's 2014 Primary School Spelling Bee competition. The 10 year old champion speller is a grade 5 student at the Dieppe Bay Primary School.